Grain bowls are having something of a moment lately, popping up everywhere from trendy restaurants to social media feeds. Korea perfected the art of the rice bowl way before snapping smartphone photos of your dinner ever became a thing. At its most basic, the dish consists of rice topped with a variety of veggies, proteins, and a red pepper sauce. COOK RICE In a medium pot, combine the rice with 2 1/2 cups salted water. 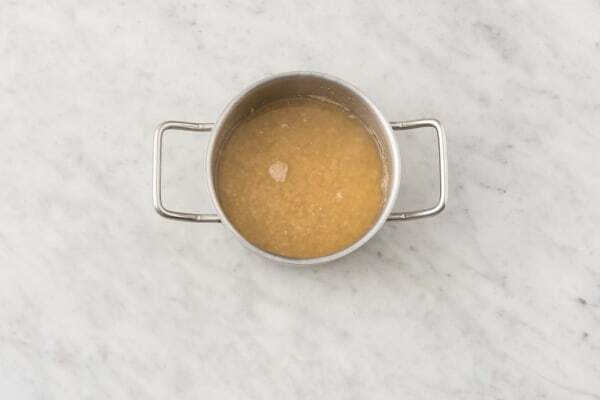 Bring to a boil over high heat, then reduce the heat to medium-low. Cover with a lid and simmer until the rice is tender, 28-30 min. Drain any excess liquid. PREP Wash and dry all produce. 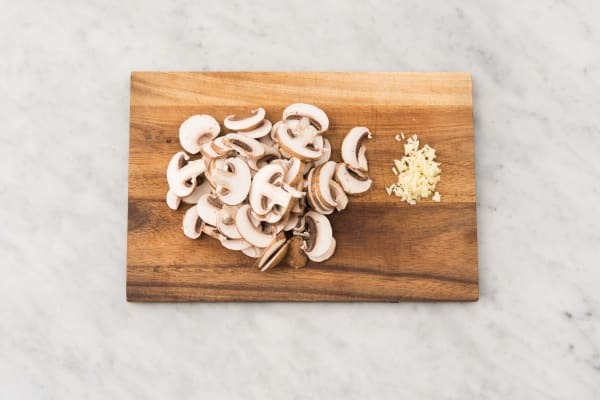 Thinly slice the mushrooms. Mince or grate the garlic. 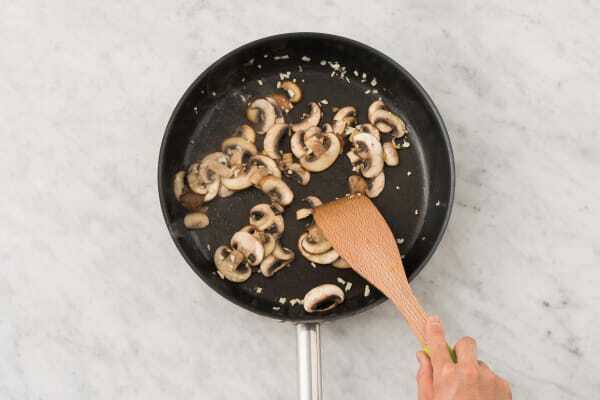 COOK MUSHROOMS Heat a large non-stick pan over medium-high heat. Add a drizzle of oil, then the mushrooms and garlic. Cook, stirring occasionally, until the mushrooms turns golden-brown, 7-8 min. Transfer to a plate. COOK VEGGIES Add the carrots and 1 tbsp water to the same pan. Cook, stirring, until it starts to soften, 1-2 min. Transfer to the same plate. Add the spinach and soy sauce to the pan. 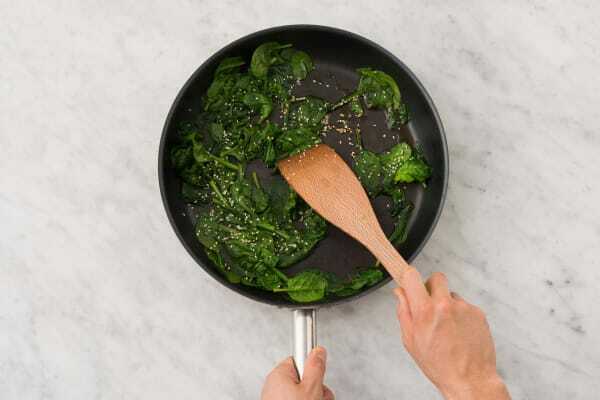 Cook, stirring, until the spinach wilts, 1-2 min. Stir in the sesame seeds. Transfer to the same plate. 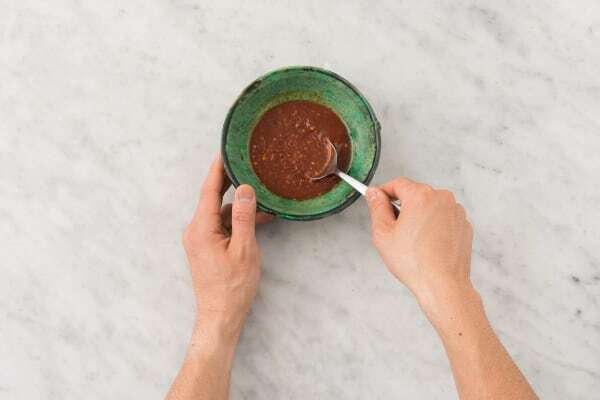 MAKE SAUCE In a small bowl, stir together the gochujang, honey, sesame oil and 2 tbsp water. Season with salt and pepper. 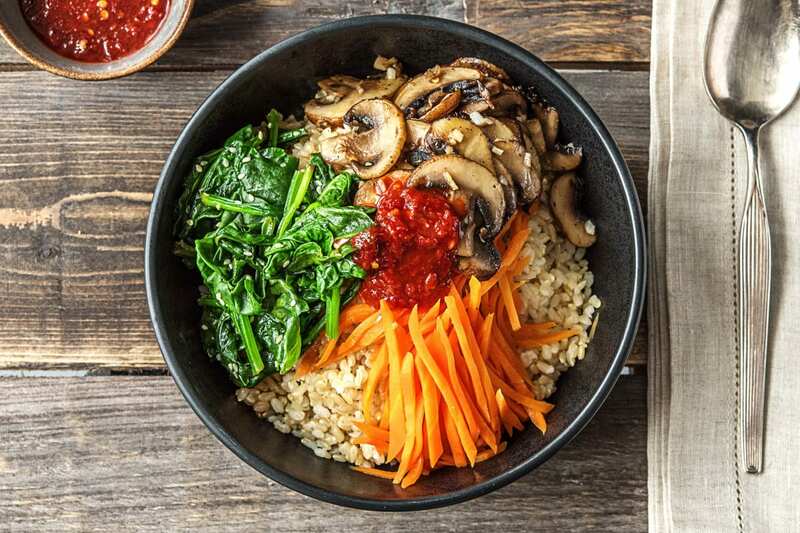 FINISH AND SERVE Divide the rice between bowls and top with the mushrooms, carrot and sesame spinach. Drizzle over as much bibimbap sauce as you like, and mix to coat.